UVM Enterprise Technology Services on Welcome to Centennial Woods! 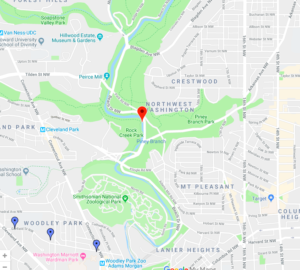 Over my Spring break, I went home to Washington, DC and spent a lot of time in the forest that covers the middle of DC, Rock Creek Park. 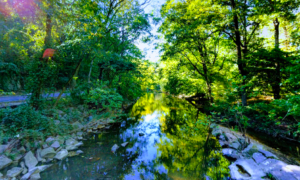 Since most of the parks in DC belongs to Rock Creek and I just went home over the summer, I didnt get the opportunity to spend time in a new environment but I hiked through Rock creek nearly every day. Ferns and poison ivy is really popular. Also, just before World War One, Tokyo, Japan gifted Washington, DC with cherry blossoms to help their relationship. They just recently started to bloom so for my break I came home to thousands of bright pink cherry blossoms trees. Thats definitely unlike my phenological spot in Burlington and I think the trees in Vermont are more adapted to the wind and cold. I also saw a Red Robin in DC which is a bird I have yet to see at UVM. I would classify my natural community of Centennial Woods as a Woodland. 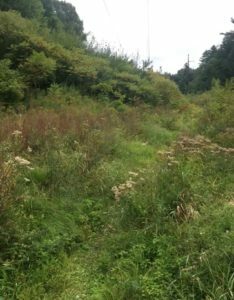 The online reference describes the differences between Wildlands, Woodlands, and Wetlands and was a helpful tool in distinguishing my part of Centennial Brook. It is not a Wildland because it is too well maintained, and although the ground when I visited was pretty muddy and moist like that of a Wetland and the Woods contain a Brook and a pond, I would still classify the area as a Woodland because the pond is more adjacent to the forest than in it and is not big enough to supports animals that can be found in Wetlands such as ducks. Since my first visit to Centennial Woods for the Phenological blogs I have noticed a ton of changes to my area such. At the beginning, the woods were really full and green. Then, as the blogs continued, the trees’ leaves turned shades of yellow and orange and then fell off the trees. Finally, winter arrived and the forest was covered in a layer of snow and the water levels of the brook rose as the snow melted. Also, during the beginning of the year, I noticed a lot more fauna and wildlife. As it became fall and winter, i started seeing a lot less birds and animals. I think this will change as we transition into spring. Since the last time I was in my phenological spot, Centennial Woods, a lot has changed. Unlike last time, there was a thick layer of snow on the ground and most everything was covered in ice. The twigs and grass snapped easily and the water was frozen. I was able to identify boxelder, red, norway, and sugar maple, and buckthorn trees at my site. 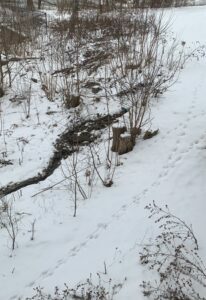 I also noticed some tracks near the stream bank of what looked like two cats of some sort (hard to tell since they were walking together) and a small deer. 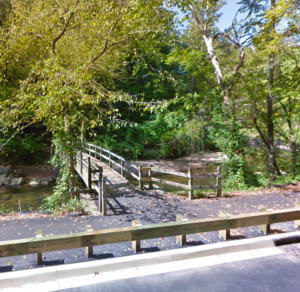 Abbey- My new phenological place I chose at home, which for me is Washington DC, is a bridge I found while hiking in Rock Creek Park. I could feel the life of the forest calling out to me as I wandered around the beautiful landscape. The sounds of the creek rushing over rocks and stones, the birds chirping as they got ready for the winter season, and the solitary away from the city was just what I needed to relax and recollect myself. In such as busy world where everyone is in a hurry to be somewhere or do something, it is important to remember our place in the world. Being back in DC after many months was such a shock. The urban area compared to the town vibes of Burlington was overwhelming. The calmness and serenity of the forest drew me in. I almost forgot what freedom felt like. Everyone should be making sure they slow down every once in a while and appreciate the outdoors and natural areas. 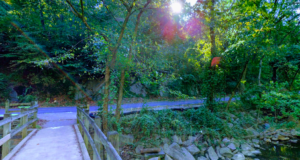 Wright- Centennial Woods and Rock Creek Park are not all that different. Rock creek park is certainly larger in size yet when I hike through Centennial it seems never ending. Both are beautiful and immersive and magical to be in. 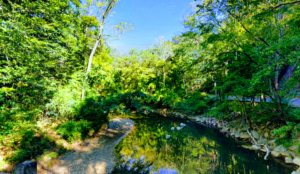 The creeks are sources of life that run through both areas. They hold so much life although it may not seem like it at this time of the year. The water glittered as it ran over the rocks and fallen leaves floated downstream. It was hard to think about anything else as I traveled through these parks. Although similar, both have specific personalities. Rock Creek Park being located in a more southern region, it seemed more humid than Centennial. The air was thicker and more wet which doesnt surprise me since DC was still experiencing t-shirt weather while it was snowing in vermont and DC. After all it was built on swampy land! Centennial was dryer and had crisper air and was more flat than Rock Creek. Both hikes though were emotionally stimulating. It was soothing and relaxing to be outdoors and I could feel myself becoming happier as I immersed myself in the woods. I noticed since my last post that many more plants have become dead. The flora is overwhelmingly brown and the sand/dirt was wet from the recent days of rain; I sunk into each step i took. Despite the colder and harsher weather I still heard some birds chirping and leaves rustling with random fauna. I noticed more trash and litter at my spot near the brook so other people must have been here recently too. 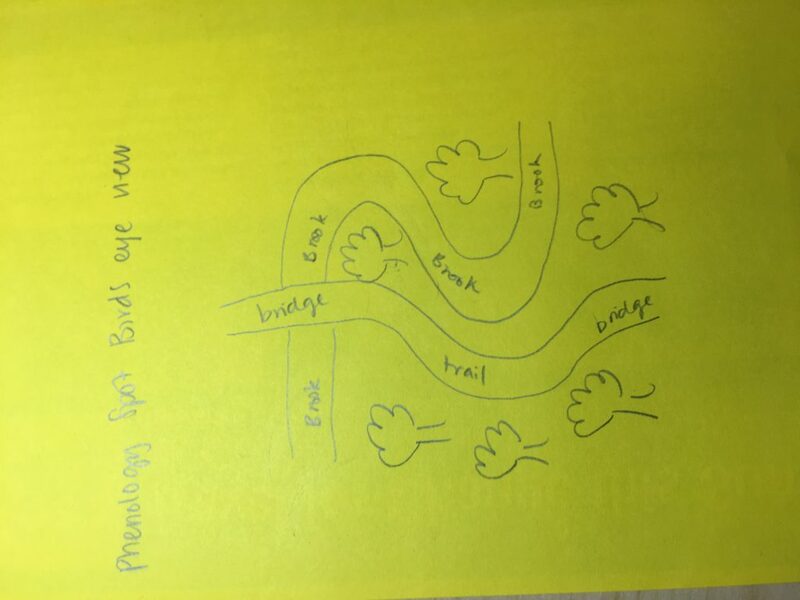 Here is a drawing of an aerial view of my phenology spot. Since I have last been my my spot, the weather has changed dramatically. It has gotten significantly more windy, colder in temperature, and its even snowed once or twice. This has led to a drastic change in the vegetation surrounding my spot. The leaves of nearby trees has fallen, other flora has turned stiff and brown, and the dirt seemed harder. There also were no signs of wildlife in the area. The brook also seemed at a higher water level due to the recent rainfall. 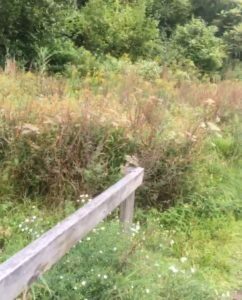 I chose the meadow/brook in Centennial Woods. 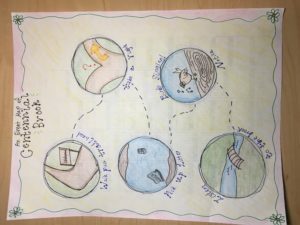 If you follow the trail you should come to an opening with a bridge and the stream the flows through it. 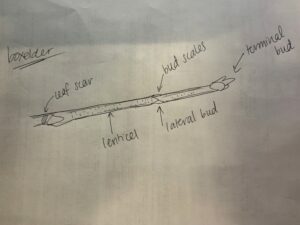 I chose this site because I felt really connected to it when I went for an environmental science lab. 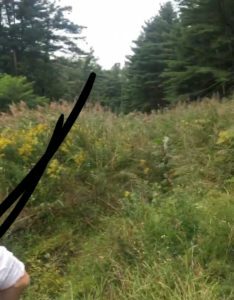 I loved the way it transitions from a forest to a meadow abundant with flowers and butterflies. Most of the species there are invasives. Some of the include asters, poison ivy, norway maple, buckthorn, ferns & milkweed.